One seat remains open for the Pointwise training course here in Fort Worth on 12-14 July. Now’s your chance to register and lock-in the opportunity to learn all about using Pointwise for CFD mesh generation. 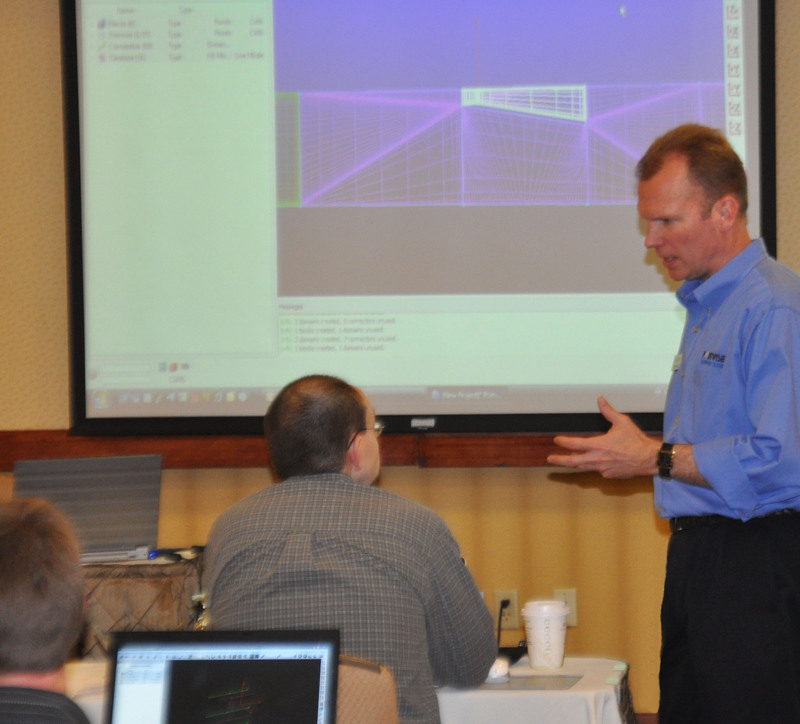 Hands-on training and access to meshing experts make a Pointwise training course a great investment for you and your company. Triple digit temperatures have already hit Fort Worth for the third day in a row now and it’s only June. In July, when it’s likely to be hotter, there’s no better place to spend the day than in air conditioned comfort while you learn the latest CFD meshing tools and techniques in the Pointwise software. Plus, our special brand of Texas hospitality will make your 3 days quite memorable. Don’t delay – there’s only 1 spot still open. Register today and we’ll see you next month. Update 05 July 2011: The July class is now FULL. Thanks to everyone who inquired and we look forward to seeing everyone in a couple weeks. If you missed out on the July class, consider one of our upcoming classes including the one to be held in conjunction with the Pointwise User Group Meeting 2011 in November. This entry was posted in Events and tagged CFD, meshing, training. Bookmark the permalink.